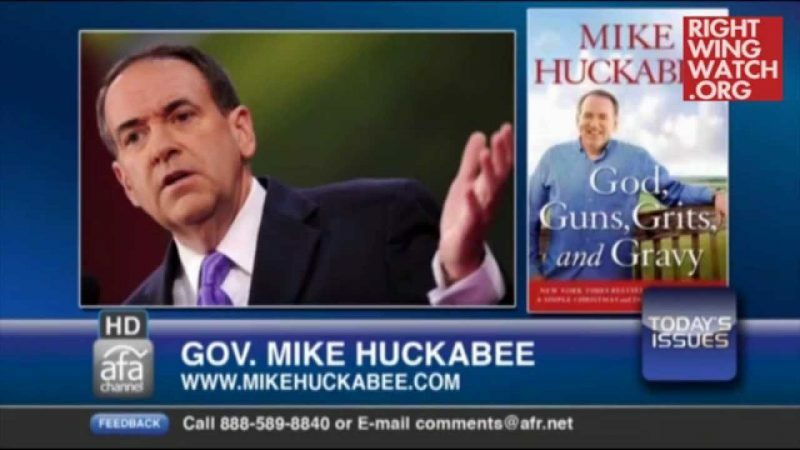 Several articles have appeared in recent months suggesting that Mike Huckabee is some sort of “new breed” of evangelical – one who is not committed only to opposing abortion and gay rights, but also cares about the environment and the poor. And Huckabee has worked hard to play up the idea that he is nothing like traditional demagoguing Religious Right preachers such as Pat Robertson or the late Jerry Falwell. 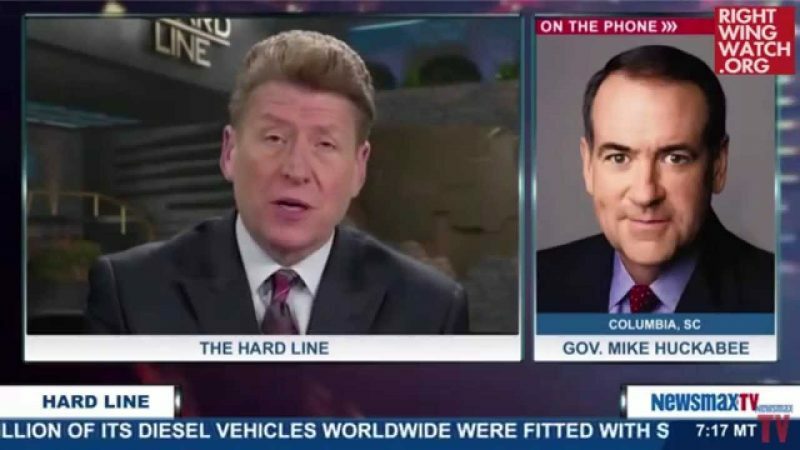 Much of the national leadership of the Christian conservative movement has turned a cold shoulder to the Republican presidential campaign of Mike Huckabee, wary of his populist approach to economic issues and his criticism of the Bush administration’s foreign policy. But that has only fired up Brett and Alex Harris. 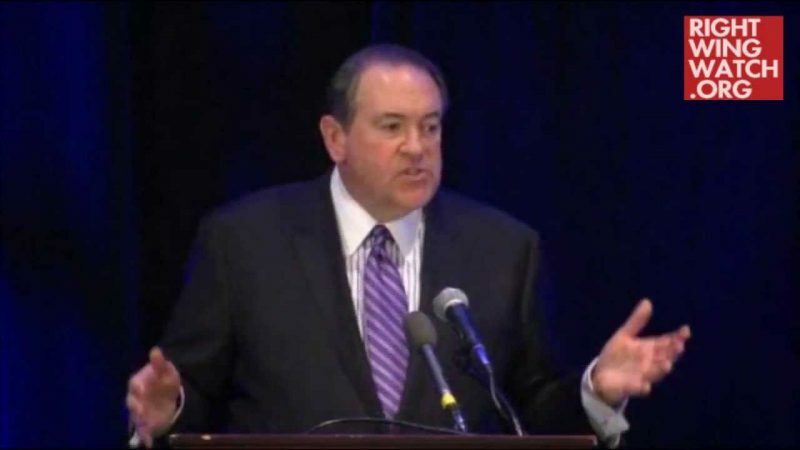 The article noted how Huckabee’s rise in the polls has occurred “without the backing of, and even over the opposition of, the movement’s most visible leaders, many of whom have either criticized him or endorsed other candidates.” While Religious Right powerbrokers like Tony Perkins, James Dobson, and Gary Bauer have credited Huckabee for energizing evangelical voters, all have made clear that they do not support his candidacy and seemingly have no intention of doing so. But just because the most prominent right-wing activists are reluctant to climb aboard the Huckabee bandwagon doesn’t mean that those already on board are in any way moderates or representative of some sort of new, more moderate evangelical movement. In fact, most of Huckabee’s backers are even more radical. I suggest that God may be sending us a lifeline. Who better to lead a nation nearing moral collapse and perhaps World War III than a president who is also a pastor with 10 years of senior executive experience as a governor? Star Parker, Founder and president of CURE;* Washington D.C.
William J. Murray, Chair of Religious Freedom Coalition,* Chair of Government is Not God PAC,* and author; Washington D.C.
Huckabee may very well care about issues beyond the traditional right-wing agenda, but his most avid supporters most certainly do not. 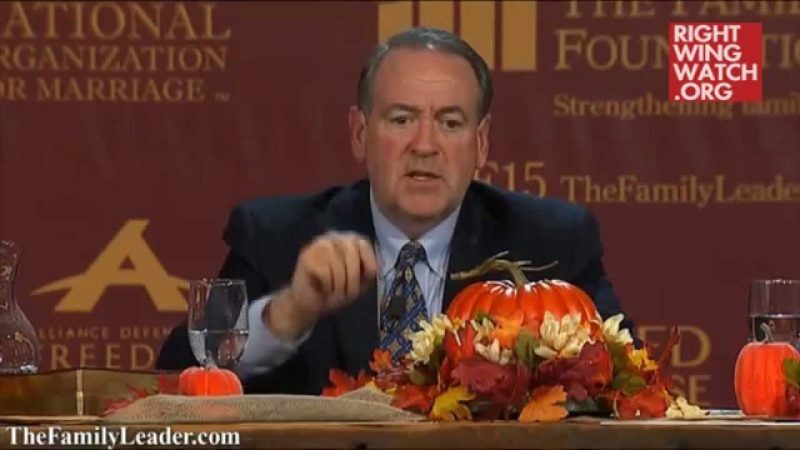 Ironically, while the more mainstream Religious Right figures like Perkins, Bauer, and Dobson have been reluctant to embrace Huckabee because of fears of what his campaign would do to the Republican Party’s traditional coalition, fringe activists like Scarborough – who believe that politics is “not about winning elections … It’s about honoring Christ” – have been flocking to Huckabee’s campaign. Which raises the question: Are Huckabee’s right-wing supporters mistaken about his true agenda, or is the press?